I received product complimentary from Basic Invite. All opinions are my own. It's October. Why am I thinking about Holiday Cards already? Because if I don't start planning now they will never get sent out! I don't know how many years I've waited until after Thanksgiving to start planning holiday cards and then I either give up because there isn't enough time, or end up sending things after the New Year. Not this year. This year I already have my holiday cards in and it's not even November yet! The holiday season is just SO busy, anything I can check off this early is a plus. I got my cards from Basic Invite. It was so simple. Within minutes I had chosen my design, edited the text, uploaded my photo, and was done. Our card this year features BabyCakes, but if you want to showcase your pup they have a few cute dog Christmas cards in their designs. Thinking ahead, I also got some custom Thank You Cards to send out to folks who send us holiday cheer. Both sets of cards also came with envelopes, and there are 40 different envelope color options. Basic Invite is one of the few websites that allows customers almost unlimited color options with instant previews online. Once you select a design you can change the color of each element on the card to over 180 different colors. 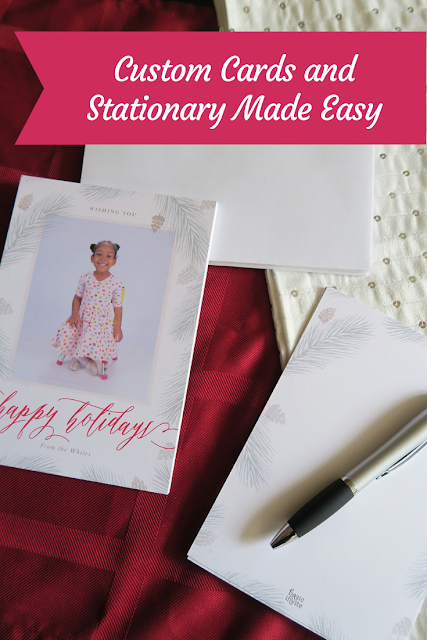 What's a major blocker in getting Holiday Cards out on time? Addresses! Basic Invite offers an address capturing service that allows customers to simply share a link on social media or via e-mail to request their friends and family’s addresses which will be stored in your account and can then be selected during the design process. Basic Invite offers recipient address printing at no cost on all Holiday Card orders. 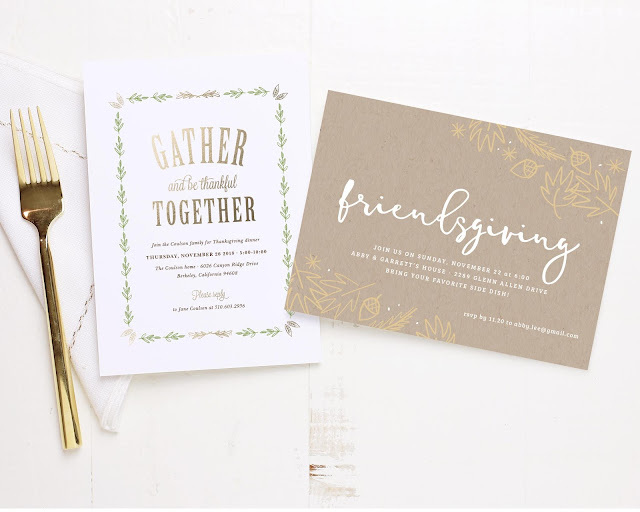 Basic Invite offers more than just Christmas cards. 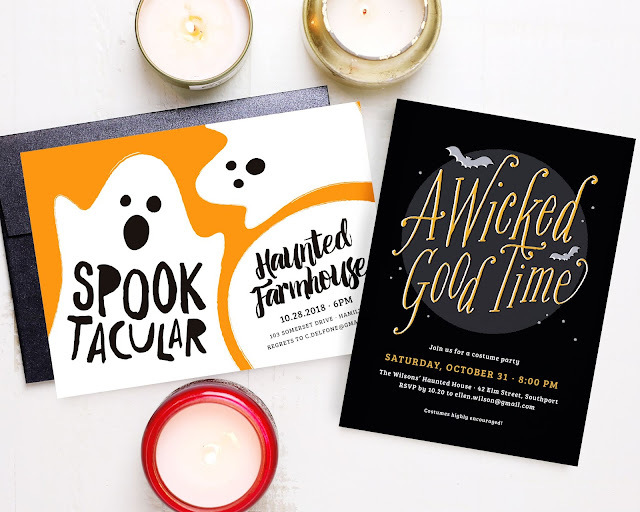 There is still time to pick up Halloween party invitations cute and creative Thanksgiving dinner invitations. They also offer foil cards in gold, silver, and rose gold which are perfect for New Year's Eve party invitations or New Years cards.